Emergency Light Testing Prices from £100! Emergency Light testing is carried out to ensure the lights work correctly. 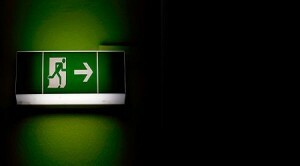 They are important to health and safety and should illuminate exit routes. These routes are for people leaving the building in a emergency. A safe exit must always be illuminated. If the emergency lights do not work correctly; this could result in serious outcomes which include injury and death. Emergency Light testing should be carried out on a regular basis. Once complete the emergency light test should be placed in the log book. This will include the time and date. Once completed by a contractor you should also receive a emergency light certificate. Daily Emergency Light Test: Check LED’s are on. 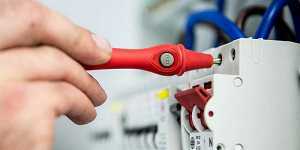 Monthly Emergency Light Test: Switch test switch of to ensure emergency lights come on. Annual Emergency light Test:Switch lights of to ensure emergency lights illuminate for 3 hours. 1. Non–Maintained Emergency Light: These emergency lights only illuminate only when the main power fails. 2. Maintained Emergency Light: Dual served emergency lights that work in normal operation with the lighting system. When the power cuts out, the emergency lights illuminate through a battery pack back up. 3. Sustained Emergency Light: Is a combination of the maintained and non maintained emergency lighting. Emergency light testing is a legal requirement. The tests are UK law and should not be ignored follow this external link for more information on your emergency light test. Failure to comply with these requirements can result in prosecution. You could ultimately end up in a criminal court if there is serious injury or death; as a failure to comply with the emergency light testing procedures. 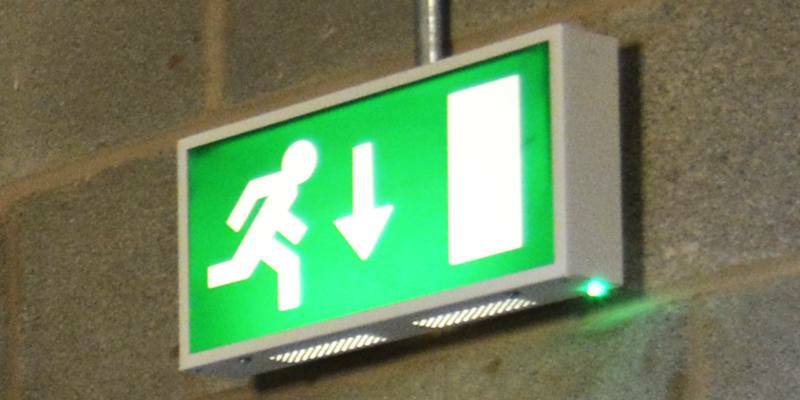 Emergency Lighting Testing 1-10 Lights: 1 Hour – £100. 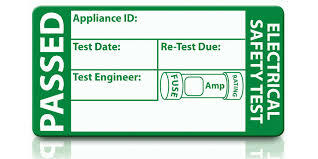 Emergency light certificate are similar to electrical certificates in appearance. They are required after a emergency light testing and inspection has been carried out at your property. Emergency Light testing is recommended by LAW in the UK for health and safety; the emergency light certificates must be held in a safe place as proof of compliance. You will receive your emergency light certificate from the electrician; once the emergency light testing has been completed. 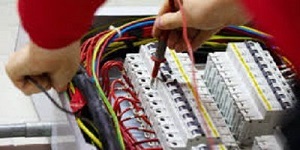 This will provide you with any recommendations that require fixing on the installation. These recommendations can be damage; deterioration; defects or dangerous conditions. How often should you get a emergency light certificate? The only main requirement above is the annual test; although it is highly recommended that you carry out the other tests. This is to ensure safety. Each Employer; Building Controller or Building Owner (The Responsible Person); must protect employees or any other persons legally entering their premises. Emergency lighting Systems must meet requirements of BS5839 or else will be deemed non-compliant. 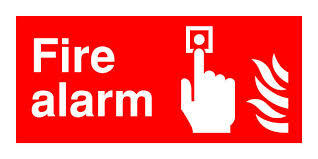 Emergency Lighting Certificate 1-10 Alarms, 1 Hour – £100. If you do not have time to call; fill in our Contact us form for your Emergency Light certificate.. We will call you back at a convenient time for you. Below is a list of thing required for your emergency light inspection. We request you follow this before an electrician arrives. This ensures you are ready for your emergency light testing. Please provide us a estimate of height for the consumer unit. This way we can bring appropriate ladders. This is to ensure access is adequate. Make sure the installation is live upon arrival. If there is no electricity we cant carry out the test. It is recommended you carry out a 1 hour test on the lights. This is so you know they work. Count the amount of emergency lights we are testing; let us know the amount of lights and locations. This is to ensure we do not miss any. Ensure you have located all emergency light inspections switches. Provide make if possible; this ensures we bring the correct keys with us. Full tests may be carried out in these circumstances; Early signs of dangers/recommendations present; Locations not available. If this happens you will still be charged. Provide any previous reports or drawing you have on the emergency light installation. Read our emergency light testing terms and conditions before you make a booking. Emergency Light Testing in London and Essex with Trade Facilities Services. ✔ Annual Emergency Light Certificates. ✔ 3 Hour Emergency Light tests.